However, total income of the bank on a consolidated basis rose to 31,914.82 crore as against Rs 30,190.54 crore a year ago. 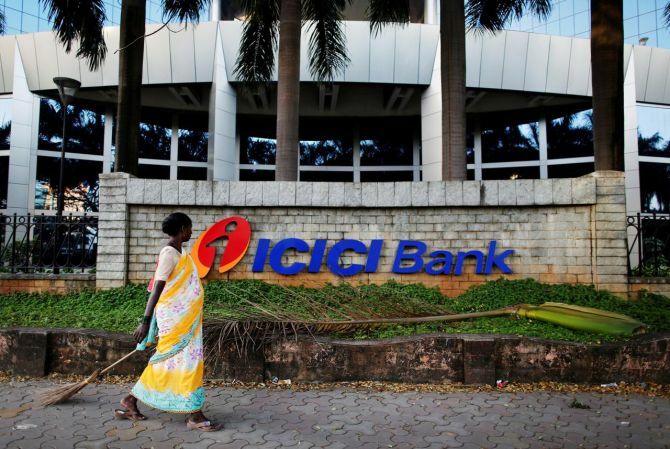 ICICI Bank on Friday reported a 42 per cent drop in its consolidated net profit to Rs 1,204.62 crore in the quarter ended September 2018. The country's largest private sector lender had posted a consolidated net profit of Rs 2,071.38 crore in the corresponding quarter a year ago, the bank said in a regulatory filing. On a standalone basis, its net profit fell by 56 per cent to Rs 908.88 crore in the said quarter as against Rs 2,058.19 crore in July-September 2017. The bank had reported a net loss of Rs 119.55 crore in the first quarter of the ongoing fiscal. Total income of the ICICI Bank on a standalone basis stood at Rs 18,262.12 crore during the September quarter, down from Rs 18,763.29 crore in the year-ago period. Its shares closed at Rs 315.05 on the BSE, down 1.45 per cent from their previous close.